A) NEERI-CSIR Development of an interactive electronic toolkit and usage in awareness-raising and capacity building to facilitate the environmentally sound management of industrial chemicals under the Rotterdam and Stockholm Conventions. 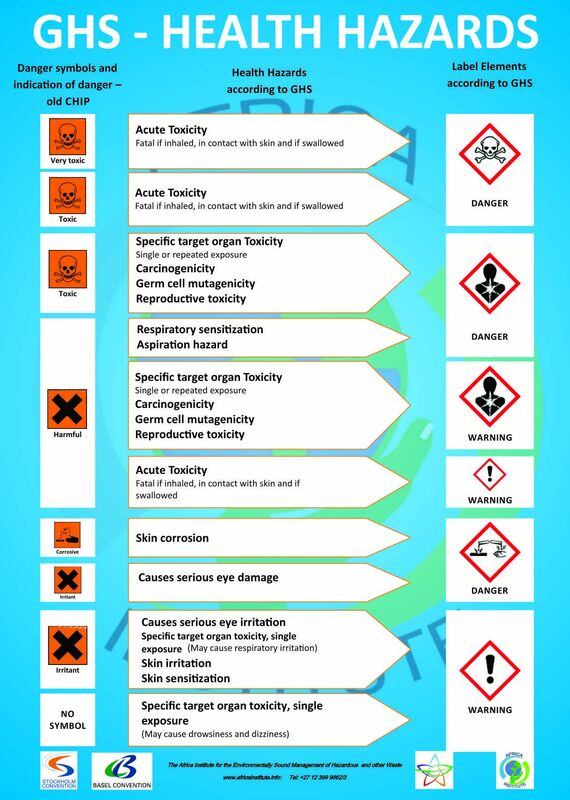 Provide information on the Globally Harmonized System of Classification and Labelling of Chemicals (GHS) to classify and label hazardous chemical substances on awareness raising for target populations (workers, consumers, emergency responders); and use the GHS as the basis for a national hazard and risk assessment and management framework. 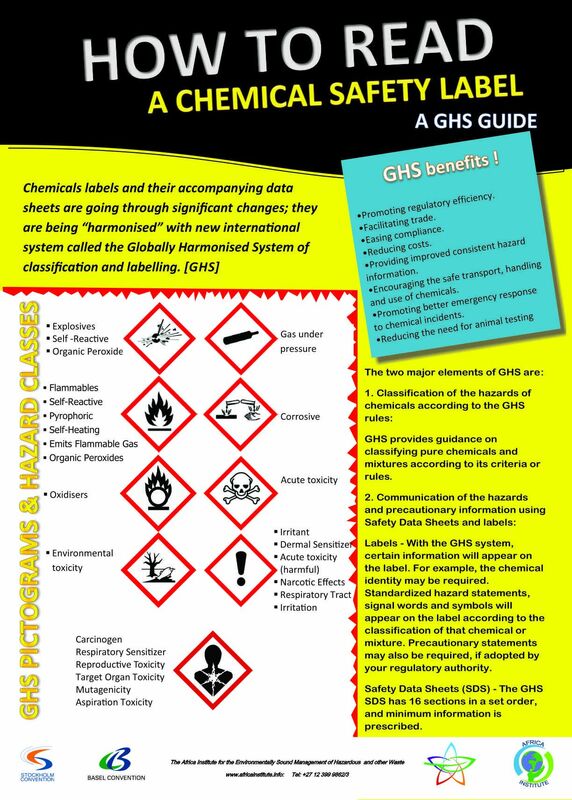 Provide a step-by-step tailored and modular approach that covers basic, aspects for the management of industrial chemicals which provide guidance on how to collect, store and disseminate information on exposures, hazards (GHS), risks and accidents; and provide guidance on hazard and risk assessments and risk management. Serve as a one stop shop for the identification of best practices by providing guidance and materials for the setting up of an industrial chemicals management system. Be available for distribution online as well as a downloadable version so as to allow ready access independently of internet connectivity. After the development of the toolkit, CSIR-NEERI then convened a sub-regional workshop (19-20 December 2013) to discuss and test the draft electronic interactive tool developed for decision-makers and stakeholders in the management of chemicals. A total of 20 participants from Nepal, India, Sri Lanka and Vietnam attended this sub-regional workshop. Based on the conclusions of the workshop and the comments of the Secretariat, the tool was developed and finalized in the end of December 2013. The BCRC-Caribbean organized a 3 day sub-regional workshop (8-10 October 2014) on the sound management of industrial chemicals for 21 participants from 11 countries, namely, Antigua and Barbuda, Barbados, Belize, Cuba, Dominica, Dominican Republic, Jamaica, St Kitts Nevis, St Lucia, St Vincent and the Grenadines, and Trinidad and Tobago. Each country was represented by two participants. The venue of the workshop was in Port of Spain. The Africa Institute in South Africa (BCRC/SCRC-South Africa) organized a 3 day sub-regional workshop (19-21 October 2014) on the sound management of industrial chemicals for 24 participants from 8 countries, namely, Botswana, Ethiopia, Kenya, Lesotho, Rwanda, Swaziland, Tanzania and Uganda. Using the draft electronic interactive industrial chemicals toolkit, the participants had to establish a process for managing specific chemical with details of an action plan as to who would do what and ultimately submit a notification of a final regulatory action. As a result of the Trinidad and Tobago sub-regional workshop on industrial chemicals under the Rotterdam convention, 3 national chemicals profiles in 3 countries were updated. 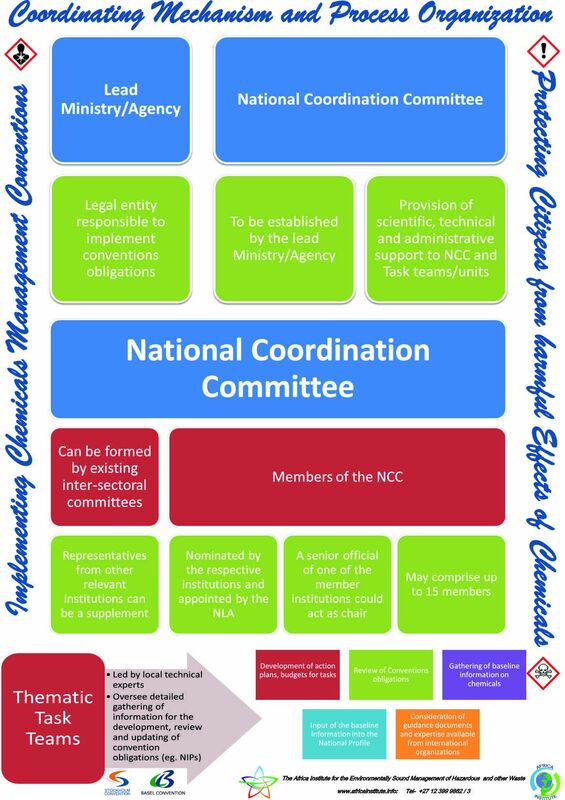 After which national seminars were organized in these same countries to review and strengthen decisions-making mechanisms for the chemicals under the scope of the convention. Trinidad and Tobago National Chemicals Profile; Trinidad and Tobago National follow-up seminar report. Belize National Chemicals Profile; Belize National follow-up seminar report. St Vincent and the Grenadines National Chemicals Profile; St Vincent and the Grenadines National follow-up seminar report. The Stockholm Convention Regional Centre in Spain, hosted by the Regional Activity Centre for Sustainable Consumption and Production (RAC-SCP/MAP) and also part of the Mediterranean Action Plan (MAP) convened a 2 day meeting (25-26 February 2015) for experts in Barcelona, Spain, so that they could peer review and refine the interactive electronic toolkit that had been initially developed by the Stockholm Convention Regional Centre in India (hosted by the National Environmental Engineering Research Institute (NEERI), a constituent unit of the Council of Scientific and Industrial Research (CSIR). The revised electronic toolkit by the experts can be found here.